How many tons of reusable abrasive do you throw away on each project? Higher performing abrasives allows owners to utilize recycling methods. With modest levels of investment, a blast shop can recycle suitable abrasive media 1 to 5 times. A larger up front investment will allow a continuous recycling operation. 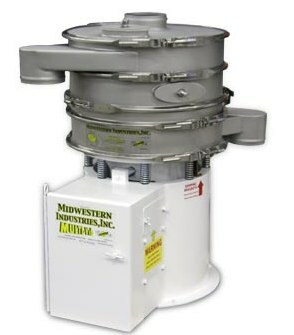 This gives the advantage of THE lowest cost per square foot for any given high performance blast abrasive. 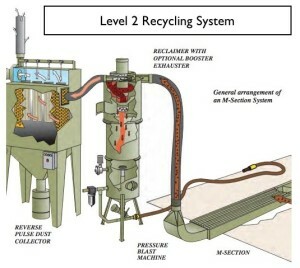 Example of a Level 2 type vibratory abrasive recycler. A simple and effective way for a quick return on investment.